It's clearly January. 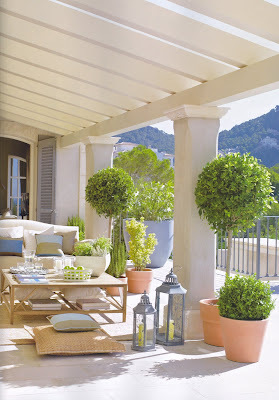 I can't seem to resist dreaming of a vacation in Spain. 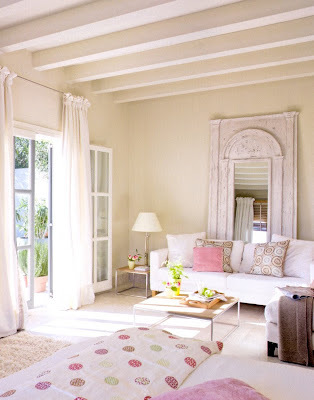 The Beautiful Blog, Belgian Pearls, posted this wonderful Spanish escape last week, and I couldn't resist adding it to mine. 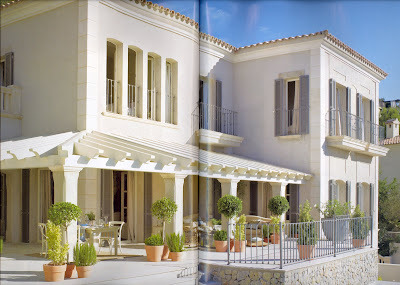 Greet is a blogger from Belgium, of course, and she consistently displays her exquisite taste, including this Spanish Villa located in Majorca. How could you ever leave a home surrounded by lush green mountains and a view of an endless ocean? 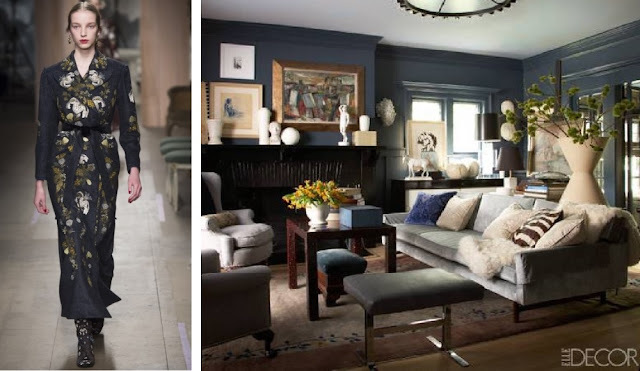 It's one thing to have a home dropped into a location like this one, but the added bonus is the carefully selected furniture that is the perfect blend of modern and traditional, function and luxury, simple and sophisticated. Simple Fireplace, sleek sofas and occasional tables, paired with a rattan chair that looks like it could fit as easily outdoors as it does indoors. 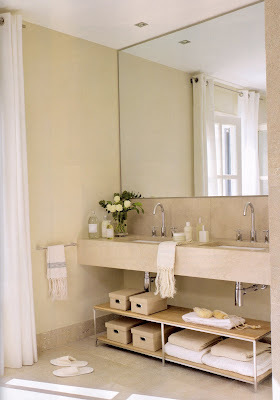 Natural Rug, and tiled floors keep it clean and cool. 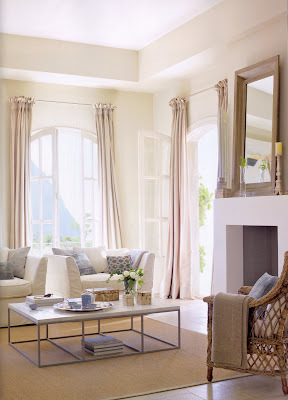 The added ruffles at the top of the curtains are a soft touch that give a little balance to a room with high ceilings. 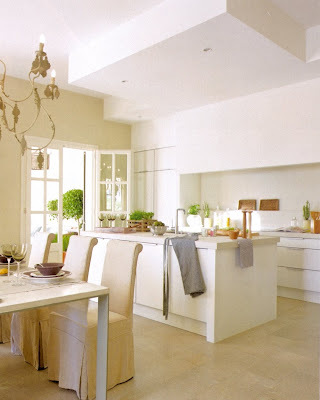 The kitchen cabinetry is practically invisible, This can't be a permanent residence with so little storage space. 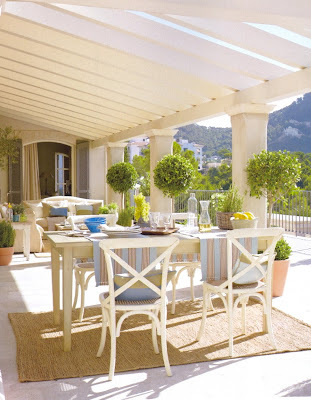 However, the french doors that open to the terrace is certainly conducive to plenty of outdoor cooking. 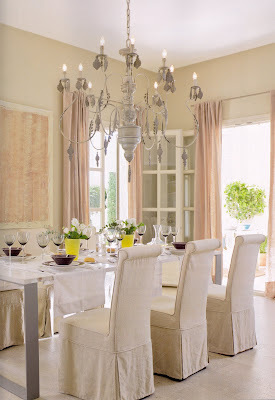 Great combination of sleek dining table, elegantly slip covered chairs, and an over sized ornate light fixture. It's dramatic and inviting. 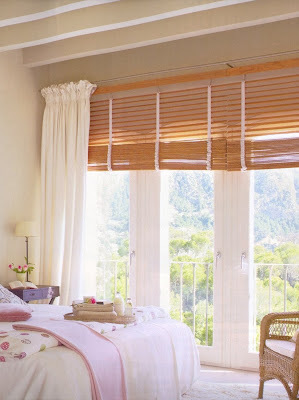 This bedroom is perfect for lazy afternoons. 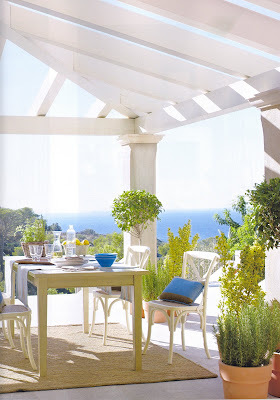 Taking shelter from the hot sun with a good book, while a breeze from the Ocean keeps you cool. Beamed ceiling and antique mirror add so much character and comfort. Using powder pinks and lavender as an accent colour creates a tranquil retreat..
Taken from Belgian Pearls Blog, thanks for the great post Greet!